Most posts contain affiliate links. These are provided for your convenience, and the price isn’t increased at all. 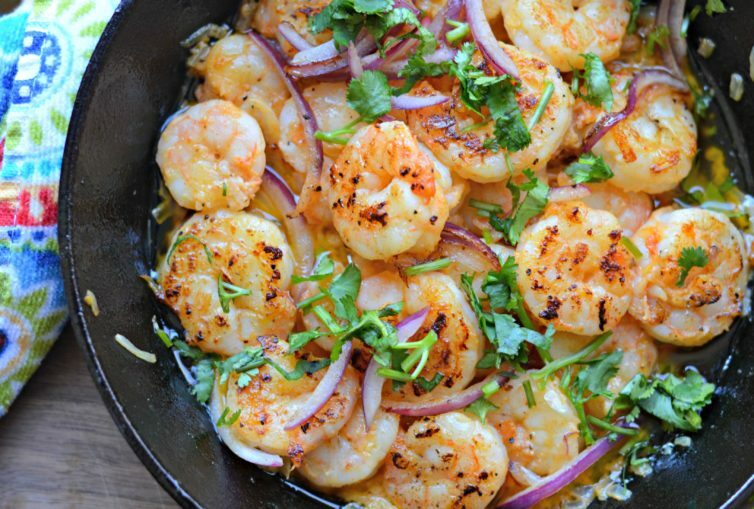 Inside: Learn how to make Mexican-style Garlic Shrimp, which are easy to make and delicious at any time of the year. Para Leer en Espanol, Haz Click Aqui. I have mentioned on other occasions that I am originally from a port city in Mexico. There, fishing, agriculture, and oil operations are the main sources of employment. I always remember getting up early with my mom to go to the docks to buy fresh-caught seafood from the fishermen who worked all night. I remember seeing many different types of seafood, including strange ones like the bobo fish and the pejelagarto. The docks were always crowded with people picking up their food for the week. That is why we had to go so early. If we waited a few hours later, everything would be gone and we would have to wait until the next day! Some of the most popular seafood at my house were octopus, oysters, tilapia, and of course shrimp. We had so many different ways of preparing this seafood that we never got bored. 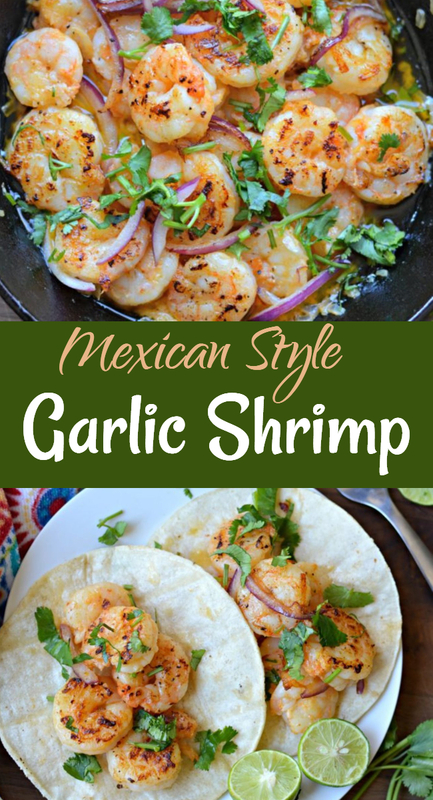 Some of the recipes that we made a lot were paella, tilapia with chipotle sauce, tilapia a la Veracruzana, fish tacos, ceviche, octopus broth, and of course these Mexican-style garlic shrimp (known as camarones al mojo de ajo in Spanish). 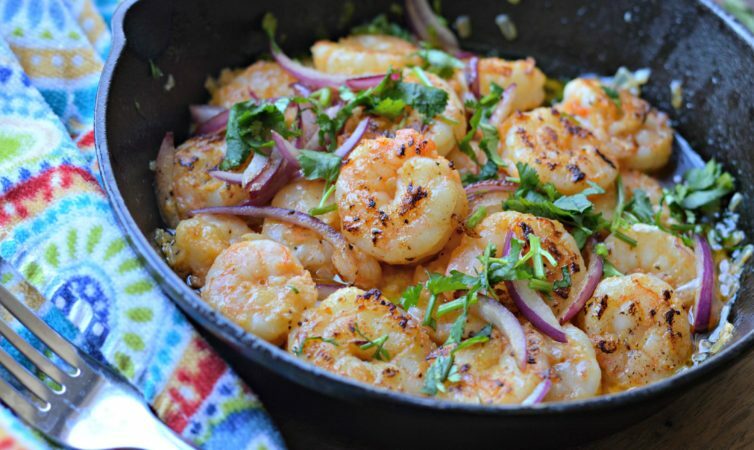 This Mexican-style garlic shrimp recipe is one of my favorites. It was one of the first recipes I learned growing up and when I realized how easy it was to make and how delicious it was, I fell in love. This recipe calls for simple, fresh ingredients. Accompanied with this delicious virgin piña colada recipe, I can assure you it will be a hit! The name in Spanish comes from the sauce that it is cooked in, and which only takes about 10 minutes! For the garlic sauce, you will need butter and at least 5 cloves of garlic. 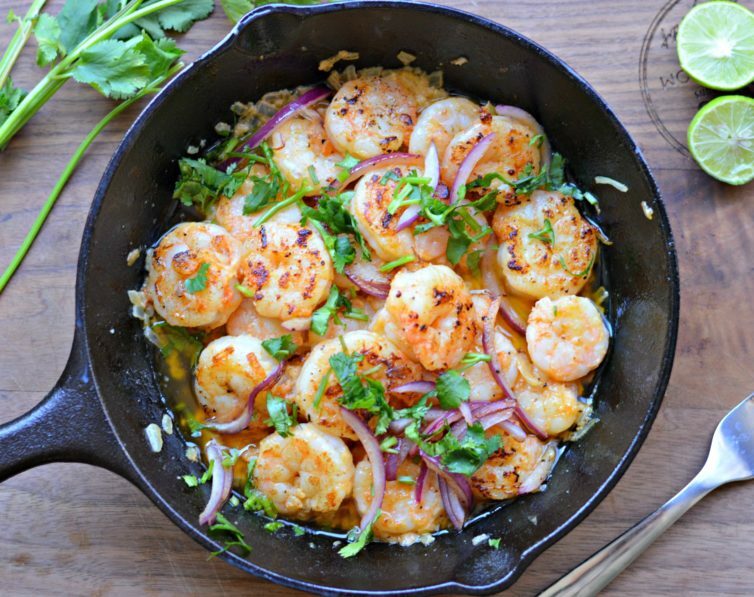 You start by cooking the butter and the garlic together to prepare the skillet, and then you cook the shrimp in the same pan. 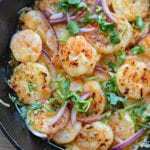 This recipe is very popular in Mexico and you will find it at pretty much any seafood restaurant. It only takes minutes to make, it is delicious and looks elegant. 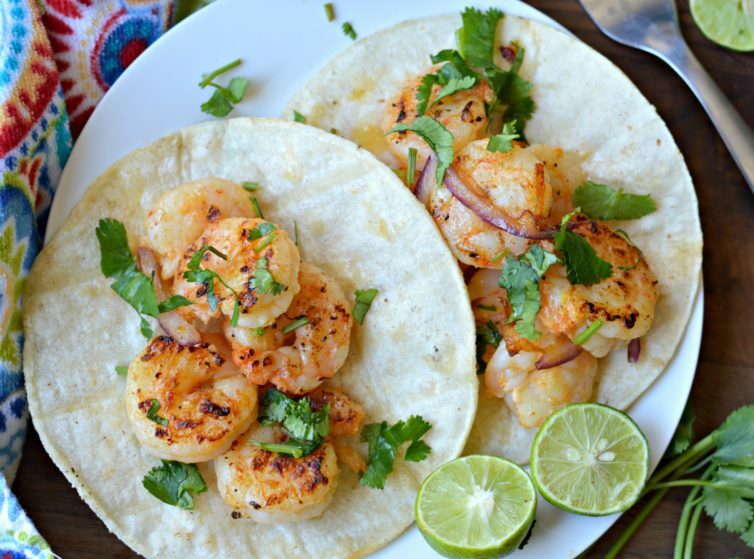 One of my favorite ways to eat these garlic shrimp is as tacos with lime. You can serve it with rice, but even on its own, it is delicious! Let me know in the comments below how it turns out and your favorite way to serve it. 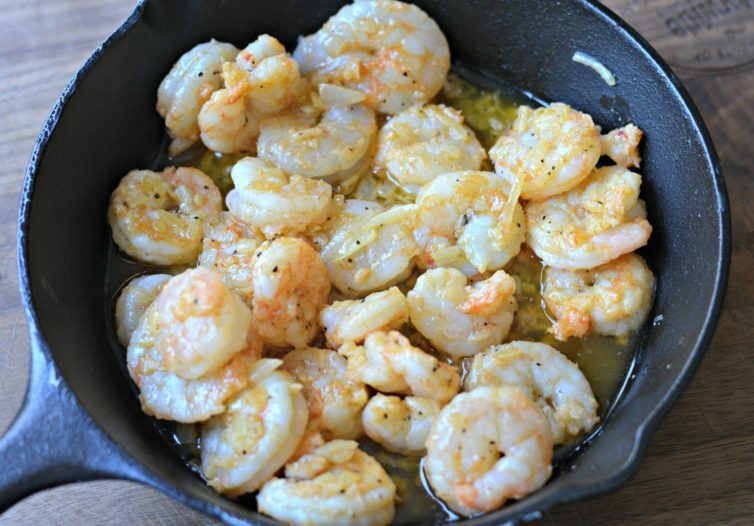 Start by seasoning the de-shelled and cleaned shrimp with salt, pepper, cumin, and paprika. Add the butter olive oil to a frying pan over medium-low heat until butter begins to melt. Add the garlic and onion and let saute together for about 5 minutes. Add the shrimp and cook for 5-8 minutes or until they are completely cooked through. Add the lime juice and parsley. Enjoy immediately with tortillas, rice or salted crackers. 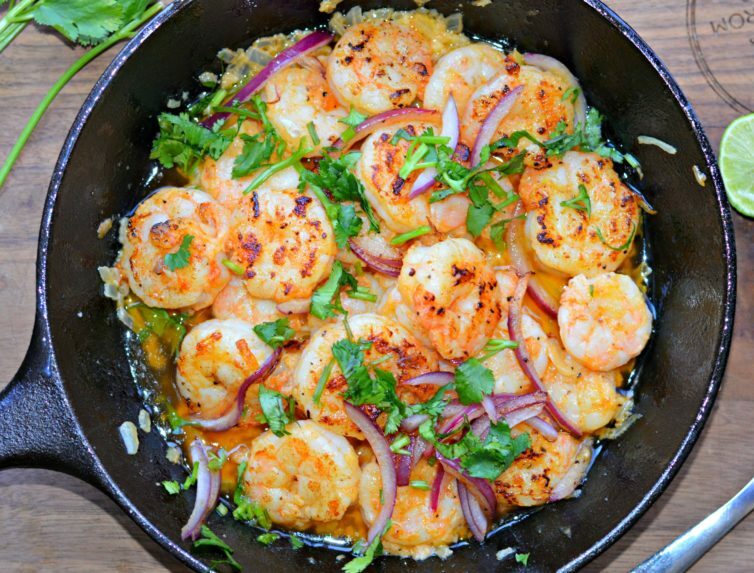 Tried this recipe?Mention @mylatinatable or tag #mylatinatable! Learn To Cook Authentic Mexican Food Like a Pro! Enter your name and email address to receive our FREE six lesson series on how to cook authentic Mexican Food like a pro.